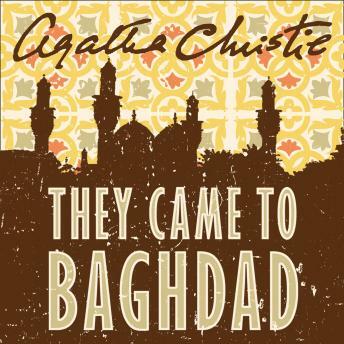 A new audio edition of the Agatha Christie thriller. Baghdad is the chosen location for a secret summit of superpowers, concerned but not convinced, about the development of an, as yet, unidentified and undescribed secret weapon. Only one man has the proof that can confirm the nature of this fantastic secret weapon - a British agent named Carmichael. Unfortunately the criminal organisation responsible for the weapon's development will stop at nothing to prevent him entering Baghdad and presenting his proof to the assembled delegates. Can Carmichael enter the city against such odds? Into this explosive situations appears Victoria Jones, a girl with a yearning for adventure who gets more than she bargains for when a wounded Carmichael dies in her arms in her hotel room.